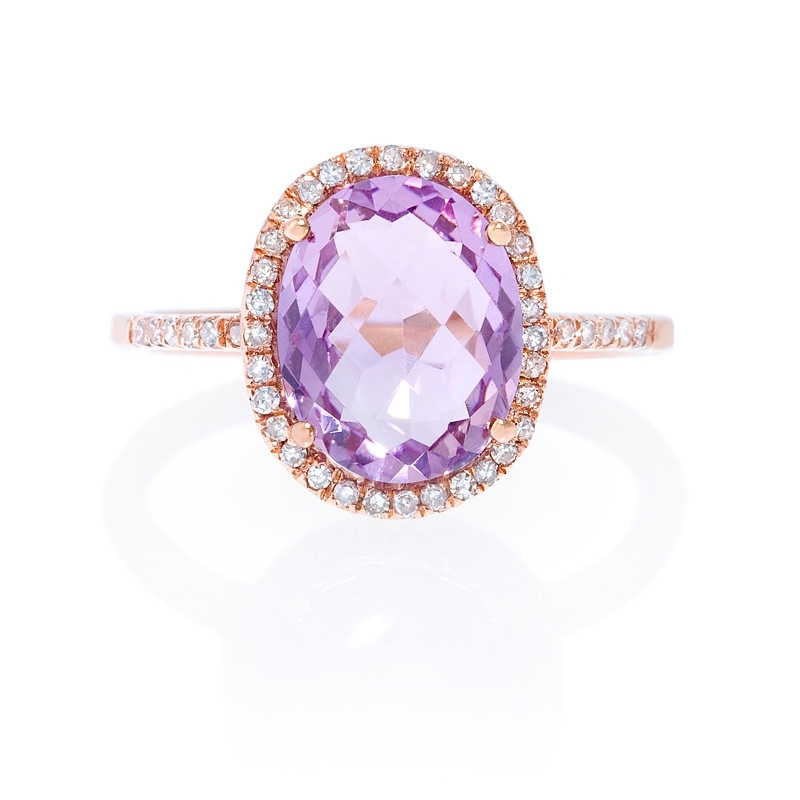 Diamond Details: 44 Round brilliant cut white diamonds, F color, VS2 clarity, excellent cut and brilliance, weighing .15 carat total. 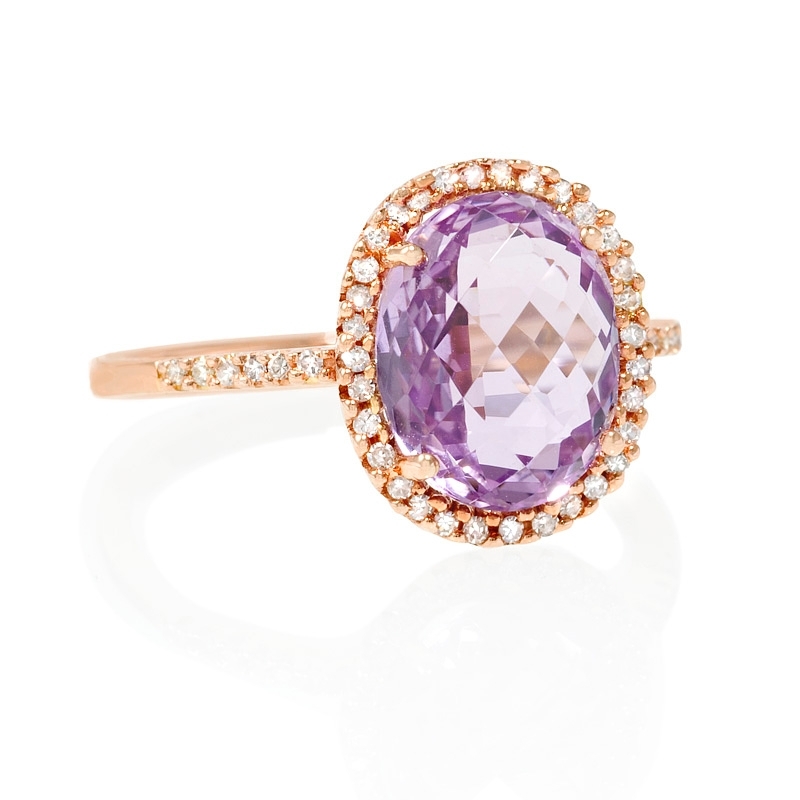 Gemstone Details: 1 Honeycomb oval cut pink amethyst stone, of exquisite color, weighing 2.51 carats. 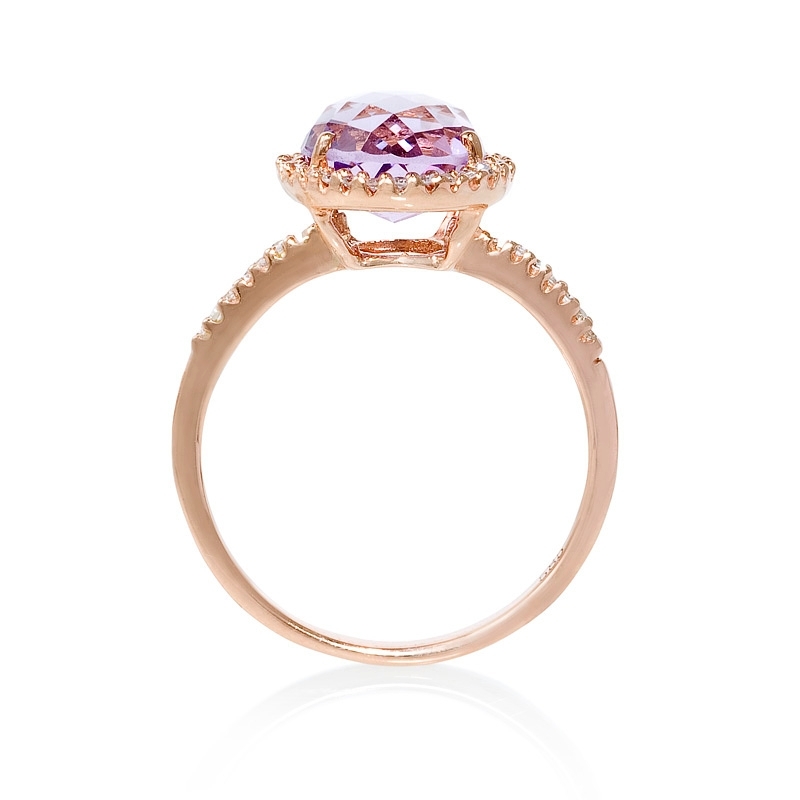 Ring Details: 14k rose gold. 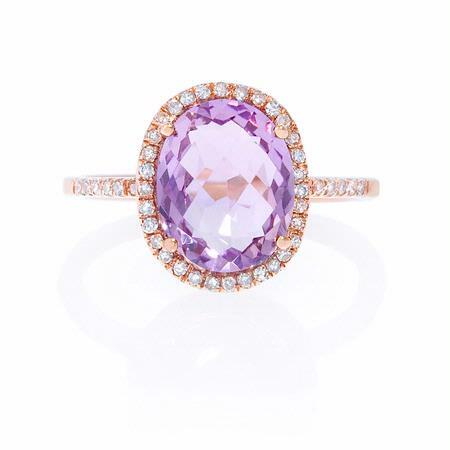 This elegant 14k rose gold ring, features 1 honeycomb oval cut pink amethyst stone, of exquisite color, weighing 2.51 carats with 44 round brilliant cut white diamonds, F color, VS2 clarity, excellent cut and brilliance, weighing .15 carat total.